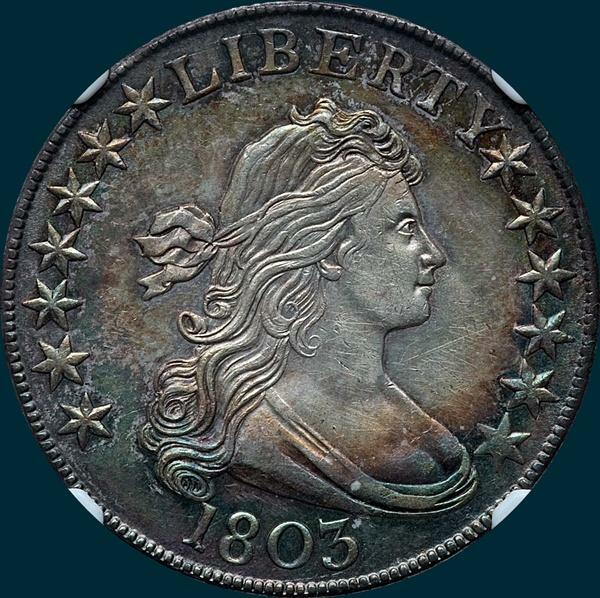 This die pair is obtainable in XF and AU grades, but very rare in MS which is typical for the 1801-1805 run of bust halves. 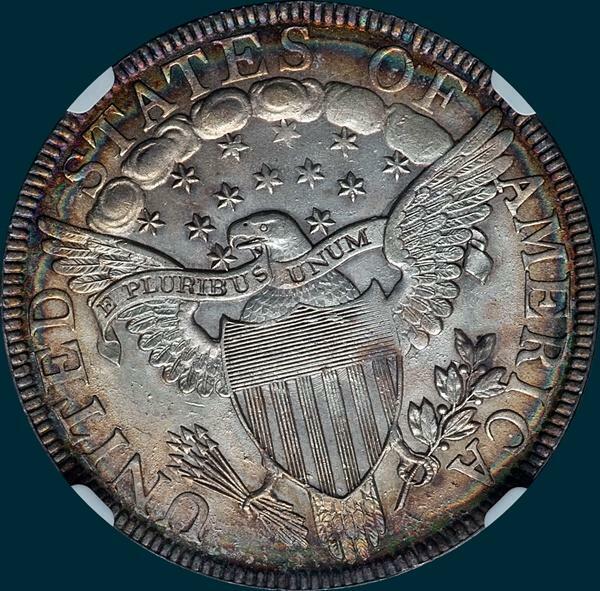 There has been a decent run of appearances of the surviving MS coins recently, which can be deceptive! Reverse-5 Berries, 12 arrows. Leaf is solidly attached to right base of I. Left base of A2 sets on end of fourth feather and is solidly attached to third feather.